When you are creating exercises for your students using CodeHS Create you can also add starter code and instructions for students. This is the same as the exercises that students encounter when going through the CodeHS course curriculum. If you want to add starter code that students see when they access the exercise you'll do that in Create using Playlists. If you are creating a new exercise select the Playlist you want it to be part of and select edit. 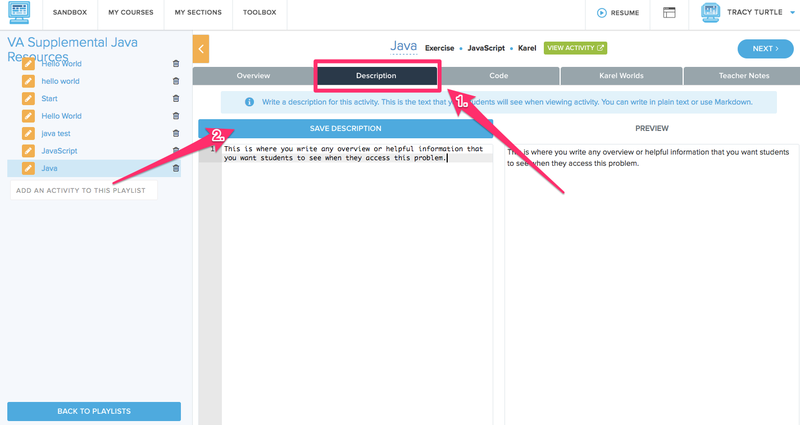 You can now either create a new exercise, or edit an existing exercise to add the desired instructions and starter code. To add instructions that students will see when they access the exercise use the Description tab, and then type in the information you would like your students to see and have. Don't forget to click Save when you are finished. 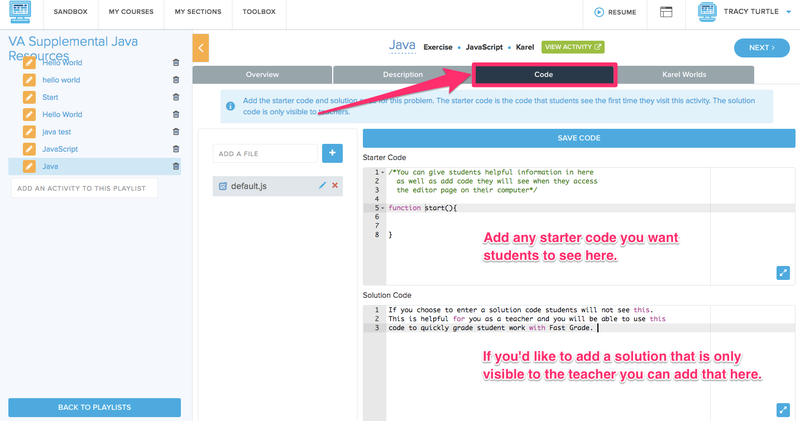 To add starter code which the students will see in the code editor page to help them begin, use the Code tab. You can also add solution code that is only visible to the teacher. Don't forget to click Save when you are finished.